Recently the US government announced that the full resolution 1 arc second grid elevation data from the SRTM mission will now finally be publicly available. Because of this i will have a renewed look at the SRTM data here. The SRTM (shuttle radar topography mission) back in 2000 produced a near global coverage data of the earth surface topography at a resolution previously unknown. This data was made available for unrestricted use soon after the mission in a 3 arc second grid - about 90 meter resolution. Only for the US territory also a higher resolution 1 arc second data set was released. 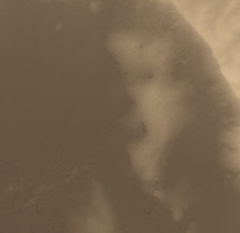 For the rest of the SRTM coverage area this data was not public. Exact reasons for this are not clear. Most widely cited are national security reasons but there was also speculation this might have been out of courtesy to local providers of high resolution topography data to not dry up their markets. Today, 14 years later, there are quite a few other sources available, most notably the ASTER GDEM data but also many freely available local data sets like for most of North America and several countries in Europe. Still all topography data sets have their limitations and SRTM data is still one of the major sources of elevation data for many areas. Releasing the full resolution data now is probably trying to avoid it becoming obsolete before having the chance to be put to good use. So lets have a look if it is still useful. The data is made available by the USGS and can be downloaded from the Earth Explorer. 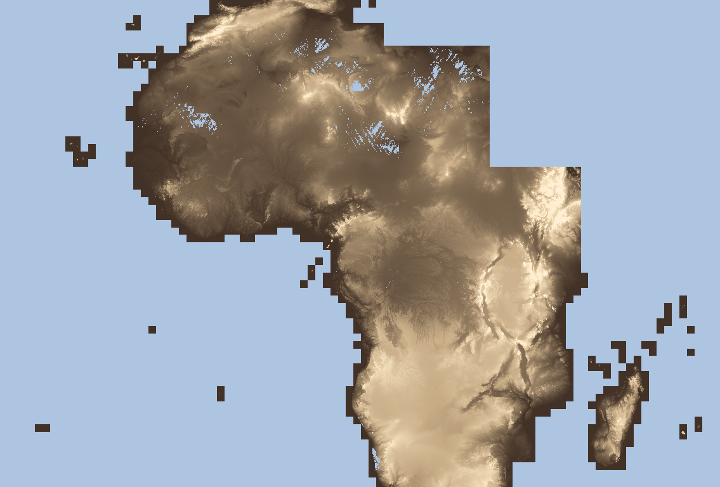 It is offered in three formats - BIL, DTED and GeoTIFF. 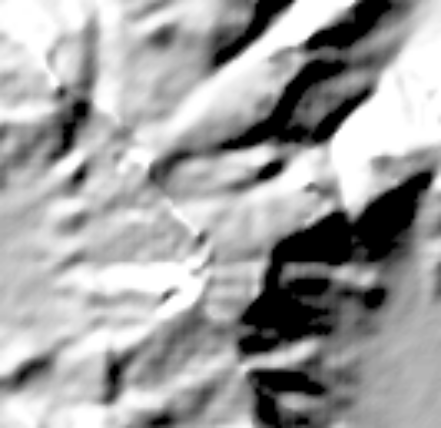 The traditional HGT format for the SRTM data is not included. DTED and GeoTIFF are uncompressed so the only sane option for bulk download is BIL which seems to be intended as the standard format. Fairly ugly form consisting of several files but as long as GDAL can ready it this is not an issue. The data is also included in the Elevation data search tool. The processing level of the files seems to be somewhat inconsistent. One major limitations of the SRTM data are the occasional gaps in coverage. In some tiles these gaps are filled while in others they are still there. So if you want to use the data you have to tackle that. There is no information for the void filled tiles which data points are measured and which only estimated so if you need that you have to derive this information from the 3 arc second data. 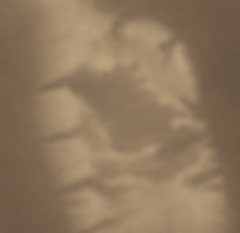 The void filling performed is fairly bad quality generating various artefacts like in the following example (in N25E006). Images shown are the old SRTM 3 arc second data (with the data voids visible), the new 1 arc second data, the ASTER GDEM data and the high quality voidfilled data from viewfinderpanoramas.org. To assess the gain in resolution i will first have a look at a relatively flat structure. For better comparison i also show an upsampled version of the 3 arc second data. 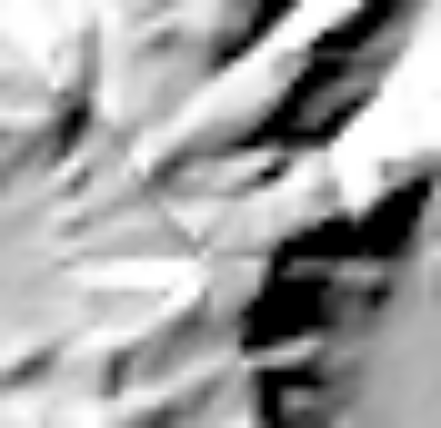 The resolution advantage is very limited, there are a few small structures not visible in the 3 second data that can be seen now but the same can be said for the ASTER data although the higher noise levels there reduce the usefulness there. 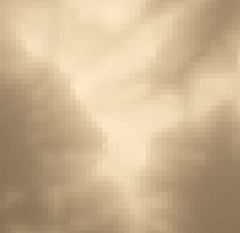 And the gain in resolution is definitely not as high as you would expect from triple linear grid sampling. Both ASTER GDEM and high resolution SRTM are essentially noise limited at 1 arc second resolution in areas with little elevation differences. SRTM less so obviously but ASTER GDEM on the other hand has somewhat better acuity on small scale features. 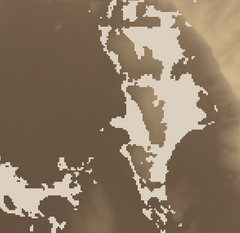 This looks somewhat better in areas with stronger relief. 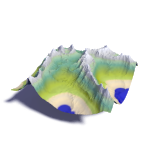 The following area here contains a steep drop with a sharp edge in reality and as you can see in the following sample images this is much better articulated in the 1 arc second data. In such areas you have a clear advantage in comparison to ASTER GDEM which also shows issues with the positional accuracy in case of high elevation differences. Overall the 1 arc second version means a moderate improvement over the previous 3 arc second version. How valuable this is depends on where exactly you look and for what purpose you want to use the data. The data distributed comes with a number of issues that require quite a bit of processing to make the best out of the information available. For most purposes this is not really a ready-to-use product.